by a fraction. 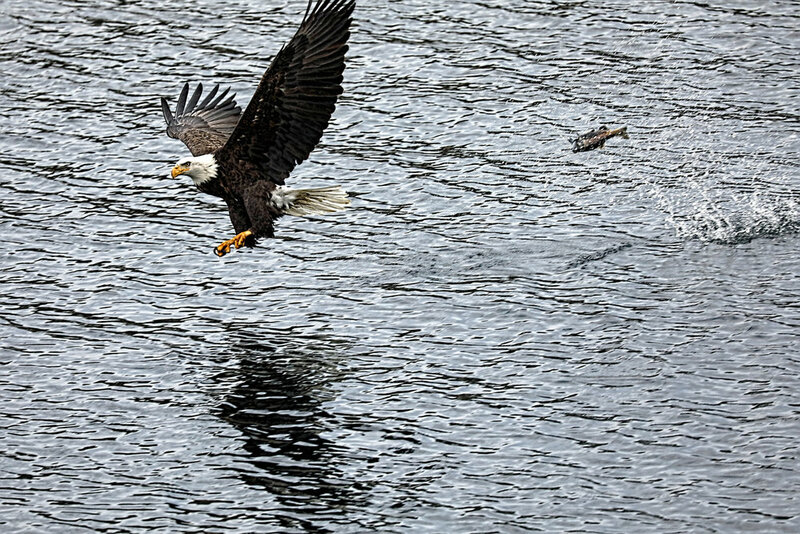 Considerably more than 100 bald eagles were easily spied in the trees in Wolf Lodge Bay on Lake Coeur d’Alene this morning, and many were fishing kokanee during their annual migration south. 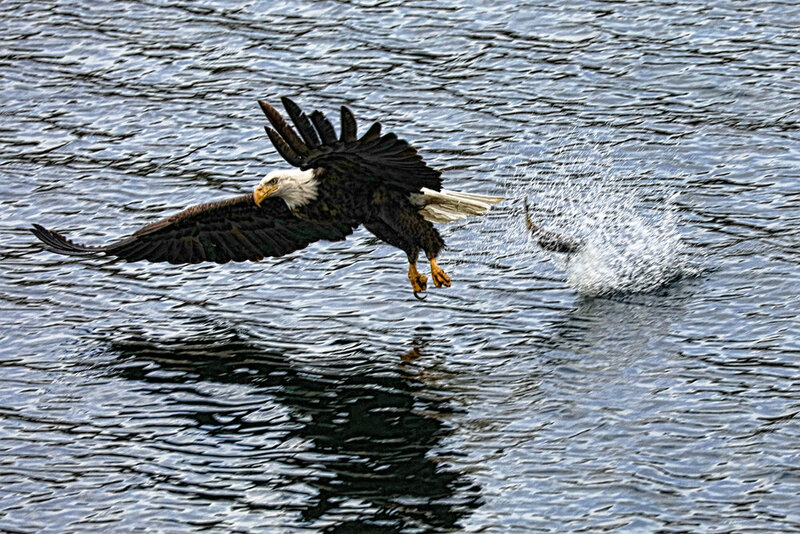 Most eagles were successful in their efforts, however these are very lucky kokanee salmon seen in the first two images below. The juvenile bird in the third image was successful in its quest for breakfast. All images: Canon 5Div w/ Canon EF 100-400mm f/4.5-5.6L IS II USM Lens: ISO=1000, 1/1000s, f/8.